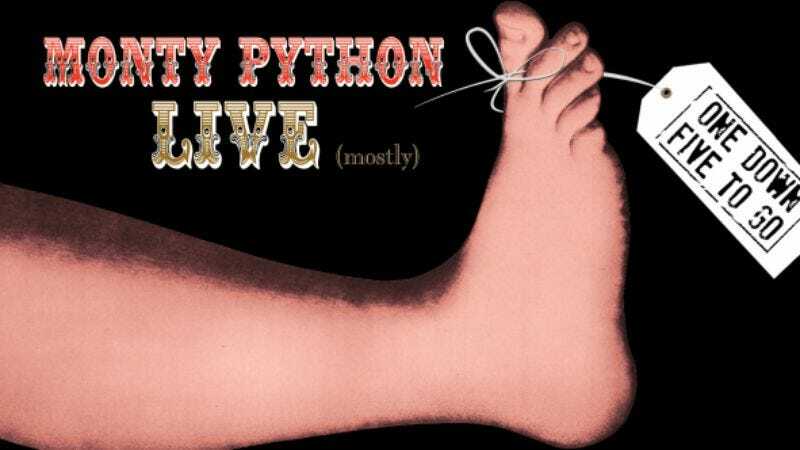 Monty Python, the British surrealist comedy troupe that created Monty Python’s Flying Circus as well as a slew of cult films have finally returned to the stage, for what could be the last time, with their Monty Python Live (mostly) event. The event will feature their best known bits with modern twists so lovers of their work will be treated to something classic and something new. Fans of the comedy group snatched up tickets to the live performance at London’s famed O2 Arena in an astounding 43.5 seconds. For those of us unable to make the trek across the pond, a live broadcasts of the final performance is coming to theaters in select cities on Sunday July 20, followed by a rebroadcast on July 23 and 24. Most of these screenings are already sold out, but The A.V. Club and Fathom Events have an opportunity for you to attend the screening here in Chicago at Regal City North Theater. To enter, e-mail avcontests@theonion.com with the words “Monty Python” in the subject line. Please include your full name, address, and which screening date you prefer in the body of the email. Five lucky winners will get a pair of passes. And while you’re waiting to hear if you’re one of the winners, take time to remember that some people won’t be as fortunate.